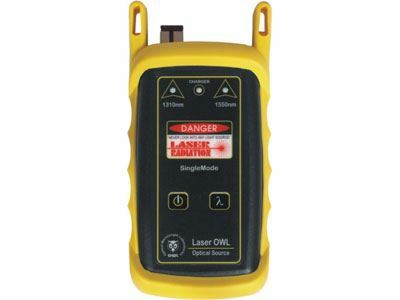 The Laser OWL 1310 is a cost effective, compact, handheld laser light source. The temperature compensated outputs are calibrated to couple -10dBm of optical power into singlemode fiber. The light source is offered with a single 1310nm laser installed, and can be easily upgraded to include a 1550nm source.